This handsome dog collar is 5/8" wide. 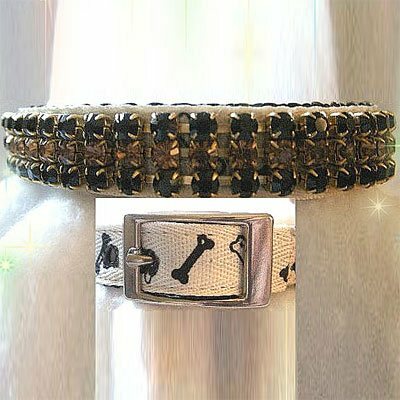 The Rhinestone Little Bones collar has black and smokey topaz rhinestones. So Cute! This rhinestone designer collar is all boy!